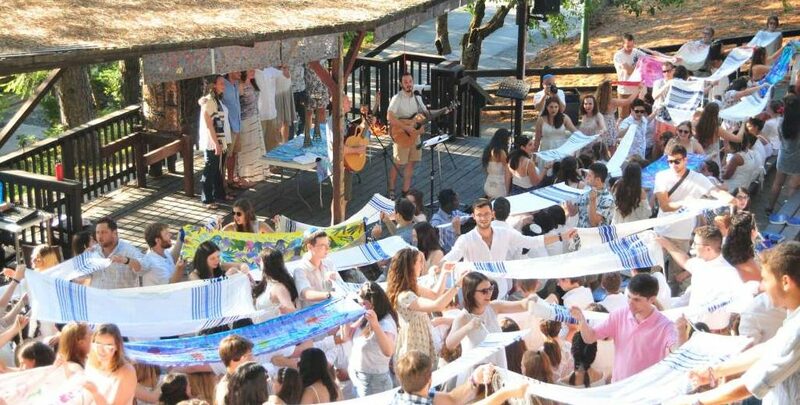 These Jewish summer camps are proud to be basic – J. In the summer of 2010, with just hours to go before campers arrived for the first day of the first season of Eden Village Camp, director Yoni Stadlin got some bad news from the health department: A procedural issue had delayed the issuing of a permit and the camp could not open as scheduled. Luckily, another camp near the Jewish environmental camp’s Putnam Valley, New York, home offered a temporary space, but staff members were forced to scramble. Daily programming was improvised. Supplies were whatever could be rustled up. Programs were held in a field or in the forest. “It was the most pared-down camp you can imagine,” Stadlin said. But it also taught him a crucial lesson. At a time when many Jewish summer camps are spending millions to build everything from gymnasiums to trapezes to science labs, a handful of Jewish summer camps have eschewed the latest luxuries, focusing instead on the traditional homespun pleasures of, well, camp. Some have passed on fancy upgrades as a matter of principle, or because they don’t comport with the camp’s particular emphasis. For others, it’s simply not their thing. The bunks at Camp Tawonga, which was founded in 1925, have no electricity. When bunks need replacement, they are built from lumber the camp mills itself. The swimming pool hasn’t had a major upgrade since the 1980s. Of course, even camps that have spent big insist that friendship and community are ultimately what draw campers back each year. At Surprise Lake Camp in upstate New York, the idea of building a $1 million pool prompted some serious pushback from board members who feared it would diminish the camp’s namesake swimming spot. And though the pool was built last year — joining a gymnasium and ropes course among the camp’s offerings — director Bradley Solmsen says fancy upgrades are not what the camp experience is about. Camp Kinderland, a social justice-focused camp in Tolland, Massachusetts, which serves about 250 campers in a season, has no tennis courts or swimming pool: “Just not our style,” said executive director Cindy Zingher. The camp’s performance center is named for Paul Robeson, the famed African American singer and civil rights activist, and its bunks are named for Harriet Tubman and Anne Frank, among others. The nonprofit camp, founded in 1923 by Jewish labor activists, has a lake for swimming and boating, basketball courts, sports fields and an arts studio. Zingher said that while Kinderland has invested in all the necessary upkeep and maintenance, it has no interest in fancy upgrades. Neither does Camp Galil, a “kibbutz-style” Zionist summer camp outside Philadelphia founded in 1946. Galil just completed an exhaustive master plan that calls for the replacement or upgrade of nearly all its buildings over the next decade. But director David Weiss said the camp has declined to invest in significant new programmatic offerings because it wouldn’t fit with its focus on youth empowerment. All the programming at Camp Galil is designed and executed by the counselors, who are generally in their late teens or early 20s, and changes significantly from year to year, depending on their interests. Weiss said that sinking significant sums into niche activities that may not be of interest to a shifting group of camp leaders doesn’t make sense for Galil. 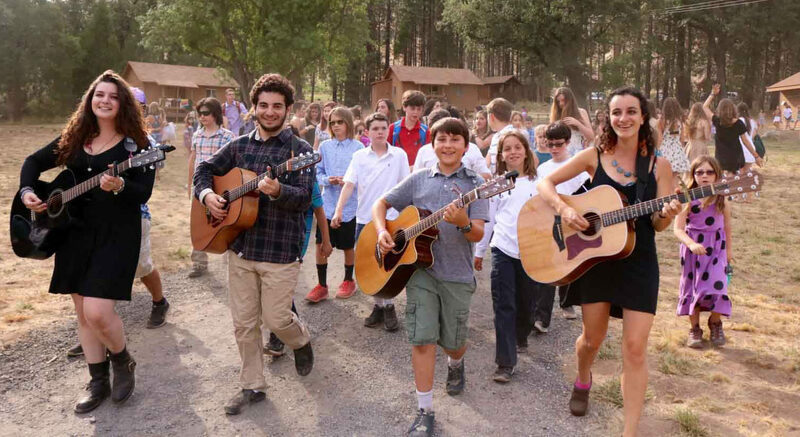 Perhaps the most rustic Jewish summer camp in the country is Camp Ramah in the Rockies, located seven miles from the nearest paved road and an hour from the nearest store. Nearly 500 campers live in tent cabins with no electricity and relieve themselves in compost toilets. If they feel like a swim, the only options are icy mountain streams. Camp directors who have gone with high-priced improvements say they are critical for camps to remain competitive in the marketplace. But Zingher says enrollment at Kinderland hasn’t suffered. The July session is full, and Zingher says the camp has brought in 40 to 50 new campers in the past three years. Talk of camping values is a common thread among camp directors whose institutions have largely declined to spend big on luxe improvements. 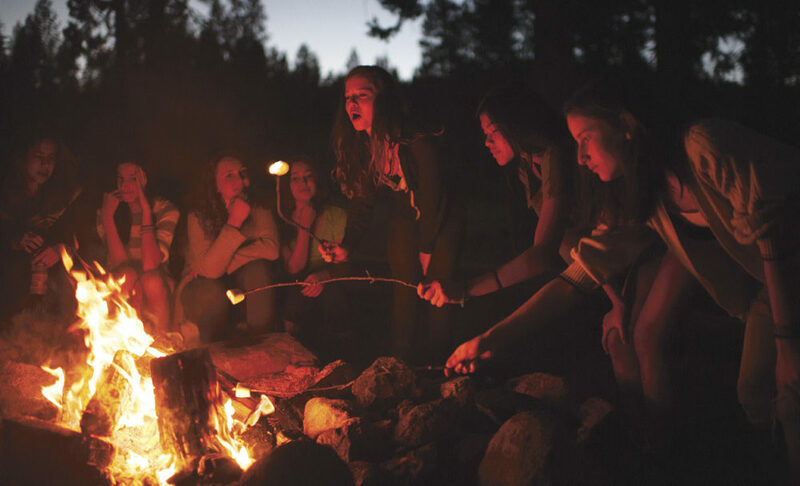 For camps that remain resolutely rustic, the values question often goes beyond the general emphasis on friendship and community. Ben Harris is a JTA correspondent.